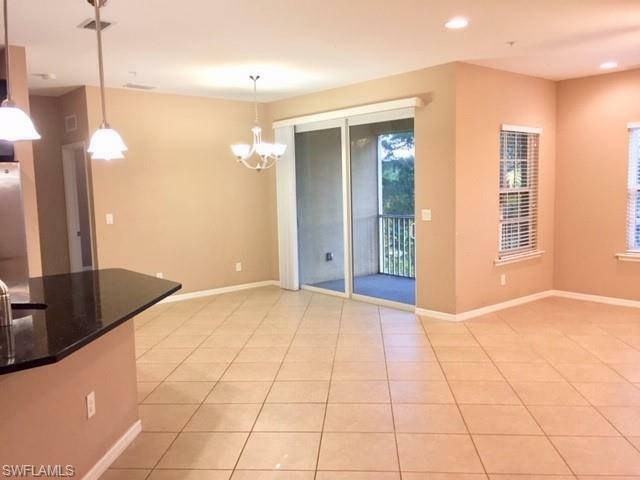 Beautiful 3 bedroom, 2 bath condo with a 1 car garage located in Mirasol at Coconut Point. 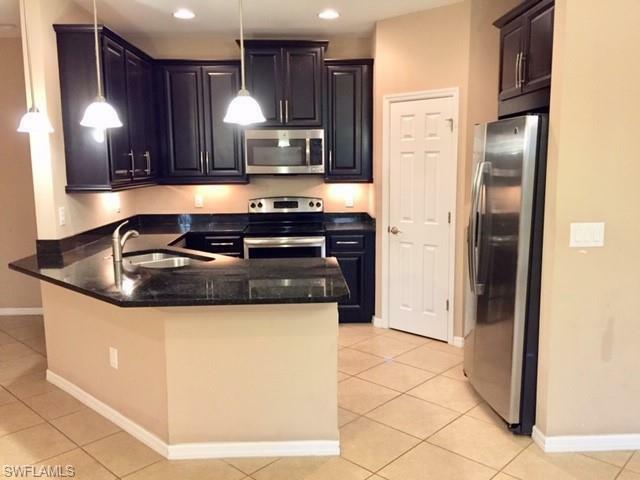 Beautiful 42 inch dark wood kitchen cabinets, granite countertops, stainless steel appliances, walk in pantry. Fans and blinds included throughout. Dual sinks in the master bath. Tiles throughout living area, carpet in the bedrooms. Laundry in residence. 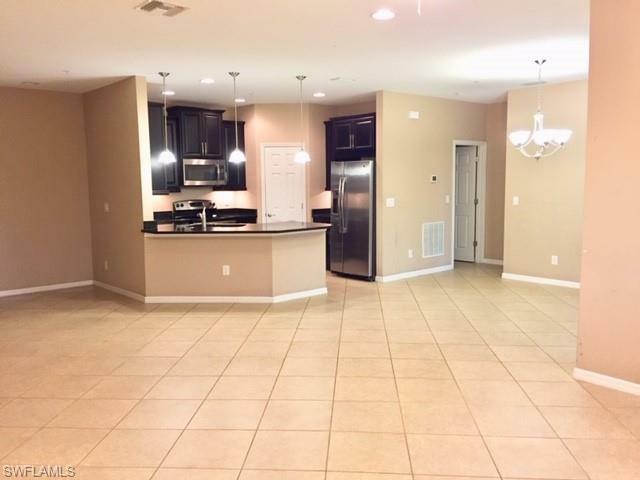 Amenities included are: Clubhouse, Community Pool, Jacuzzi, Fitness Room, pool table. 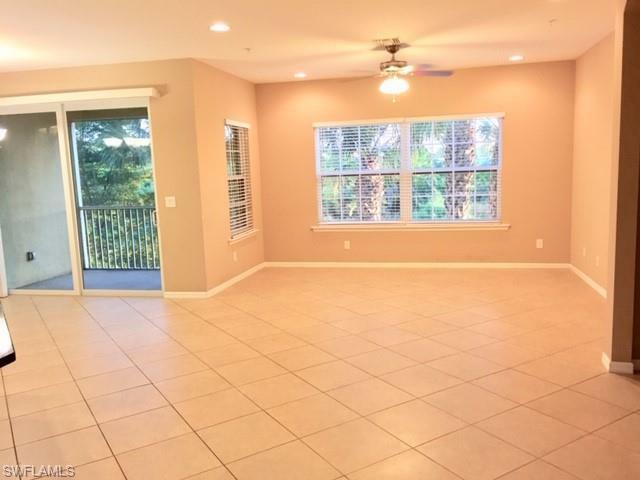 Close to everything: Beaches, shopping, restaurants, etc.